What Are Forks and How Do They Impact the Price of Cryptocurrency? Cryptocurrencies are beginning to completely change the world of finance. In the beginning, there was Bitcoin, which was designed to function as a decentralized digital alternative to cash. Over time, a number of more specialized currencies have appeared, such as Ripple and Monero. These new currencies didn’t just appear from nowhere, many came about as a result of a fork. Forks occur when the user base or developers decide that something fundamental about a cryptocurrency needs to change. This can be due to a major hack, as was the case with Ethereum, or as a fundamental disagreement within the community, like we've seen with Bitcoin and Bitcoin Cash. What is a Fork and How Does It Work? What Are the Effects of a Hard Fork? Should You Invest Before a Hard Fork? In its broadest sense, a fork is simply a change in the blockchain's protocol that the software uses to decide whether a transaction is valid or not. This means that almost any divergence in the blockchain can be considered a fork. However, there are two main varieties – hard forks and soft forks. A soft fork is any change that is backward compatible. When a soft fork takes place, older nodes (computers that connect to the cryptocurrency’s network) will still recognize new transactions as being valid. However, any blocks that are mined will be considered invalid by the updated nodes. A hard fork is any change that breaks backward compatibility. Nodes running the old software will see any new transactions as invalid. This means that in order to mine new “valid” chains they will need to update. If a large enough percentage of the community decides that they want to continue using the old rules then the chain will split, resulting in two separate currencies. A hard fork requires majority support (or consensus) from coin holders with a connection to the coin network. In order for a hard fork to be adopted, a sufficient number of nodes need to update to the newest version of the protocol software. This allows them to use the new coin and blockchain. Any nodes that chose not to update will be unable to use the new blockchain. If enough users don't update then you will be unable to get a clean upgrade which could lead to a break in the blockchain. There are a number of ways to ensure that consensus is in place before fully activating an update. Soft forks sometimes use miner-activated updates, where the hashpower of a new protocol needs to equal a certain percentage before the update is adopted. Dash uses its masternodes in order to adopt major changes to the blockchain protocol. But whatever method used, the end result is the same. A majority of the community needs to agree before any fundamental changes can be implemented, or else you risk a hard break. The end result of a successful upgrade is that a new coin will fork off from the blockchain, from the block where the upgrade took place. Two separate coins with two separate ledgers, all originating from the same blockchain. The first outcome is the most common, as happened with Ethereum and Ethereum Classic, with Ethereum vastly outperforming Ethereum Classic. The second is rarer, but it does happen. Bitcoin Cash and Bitcoin ended up broadly coexisting once the SegWit 2.x update failed to materialize. Forks can be disruptive experiences for a community. There are often competing visions for the future of a cryptocurrency and this can lead to a point where traders and miners feel that they have no choice but to go their separate ways. For example, the lead up to the Bitcoin and Bitcoin Cash split happened after a series of increasingly venomous debates within the community. There is still a great deal of ill-will between the now fractured communities, particularly surrounding Bitcoin Cash’s claims to be Satoshi’s “true vision” for Bitcoin. Sometimes, this level of disruption can be enough to prevent a fork from taking place. 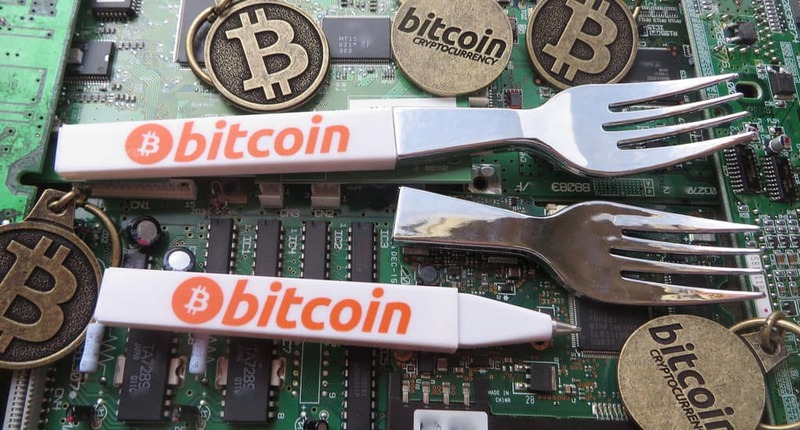 The controversial Segwit 2.X fork was abandoned in November 2017 due to the fact that its proponents had “not built sufficient consensus for a clean blocksize upgrade at this time.” Fears that the upgrade may lead to another hard fork and would further destabilize Bitcoin put the plans on hold. Hard forks can have a profound impact on the cryptocurrency and not just because of the uncertainty caused. The Bitcoin Cash hardfork is a good example of a quirk that can occur. Holders of the “parent” cryptocurrency end up with an equal number of forked off coins. For example, if you had held 10 Bitcoin at the time of the Bitcoin Cash fork, you would have 10 Bitcoin Cash. This can lead to some really interesting ripples within the market. Large traders, or Whales, can make big waves on the market. Whales are generally large organizations that own hundreds of thousands of Bitcoins. This is enough that their decisions will strongly influence the direction of the market. Some large private traders, or Dolphins, also have enough stake to influence the market to a certain degree. Let's imagine that the manager of one of these whales knows that a fork is about to happen and it will result in them obtaining one new coin for every original coin they hold. This gives them a strong incentive to increase their stake in the parent token. Thus, they begin to buy up every token they can find. Their huge size means that they can artificially drive the price of the parent currency higher in the lead up to the fork as the Whales and Dolphins buy up everything they can find. They will continue to do this until the night of the split. The Whales are rewarded for their investment with new tokens on a one-to-one ratio. Because Whales know that the price of the parent company has been inflated by their actions they proceed to dump both the new token and the parent token on every exchange they can. This can cause the value of both the forked and parent token to crash in value. Over time, their values will begin to stabilize as the traders use their profits to purchase more cryptocurrency. The above example applies to an extreme case where the entire blockchain is cloned. Not all forks will result in “free” cryptocurrency. The above example also applies to splits where the entire blockchain is cloned. Many forks only copy the underlying code, so while a new coin is corrected it does not create duplicates. In these cases, traders act a little differently. Depending on the circumstance surrounding the fork you may see traders abandoning the old coin in favor of “safer” bets until they think the market has stabilized. It is also possible to see traders largely abandon the original cryptocurrency in favor of the new fork, as happened with Ethereum and Ethereum Classic (with the former strongly outcompeting the latter). A hard fork marks an unstable time for a cryptocurrency. The community will often be divided over the issue and the market is generally very volatile, even by cryptocurrency standards. How you will react will largely depend on the stake you have in the currency and the type of fork you are looking at. In the case of a hard fork, where you will be getting “free” currency, it makes sense to keep hold of your currency or even increase your investment. The downside of this is that other large traders are doing the same. If you are concerned that you might not be able to react quickly enough to sell off before the Whales, you might be better advised to sell your investment just prior to the fork. You will lose out on the “free” currency but you may be able to make a profit from the Whales looking to increase their stake. You can then use this to buy a bigger share after the inevitable crash. If you're looking at a soft fork then your choices are a little easier. If you believe that the fork will help the currency, the best course of action will be to scoop up currency from concerned users, taking advantage of price fluctuations to increase your stake. If you believe that the fork will be bad for the currency then you should sell before the crash. Remember – there is still a chance the currency will split if the community is not behind the fork. Remember that, no matter how certain you are, the market will not always react the way you assume it will. Cryptocurrency is an exceptionally volatile commodity, so you should be prepared to lose money. Ensure that you follow the golden rule and never invest capital that you cannot afford to lose.